With GTCTrack, asset locations and movements - including position, speed, altitude and heading - are tracked in real-time worldwide via GPS updates. One app allows users to access messaging capabilities, track their movement via the “Follow” button, and more all from devices so readily carried. 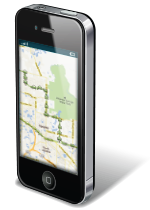 GTCTrack is now as portable as your smart devices, and can be used wherever cellular data signal is available.